I’d only just emerged from Seattle Tacoma airport, and we were heading south on Interstate 5 (i5 to the locals), when I spotted the signage for one of these beauties. 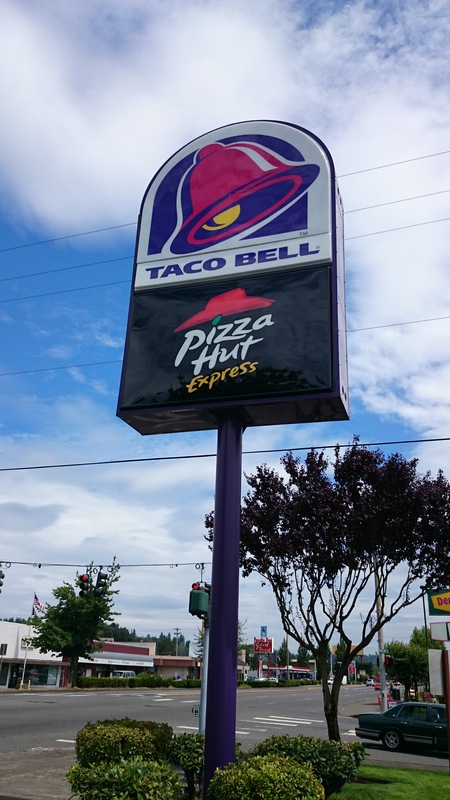 You may be thinking cynically, ‘ yes and your point is…?’, but for me Taco Bell is just one of those places you have to experience in America. It’s as American as Mcdonalds and when in the States it constitutes a virtual rite of passage. Or was it just because I really like Burritos…?